The Bertazzoni Assistant uses smart technology to help you produce perfect dishes again and again. Cooking by desired results means the Assistant automatically manages a precise sequence of cooking functions, temperatures and timings to deliver beautifully baked cakes and deliciously tender roasts. The Bertazzoni Assistant combines a clever digital programmer and sensitive food probe helping you to set up and monitor the oven perfectly for any recipe. There is no need for the home chef to change any heating mode setting or temperature during the entire cooking process. The Assitant takes care of all adjustments based on the sensor data collected. 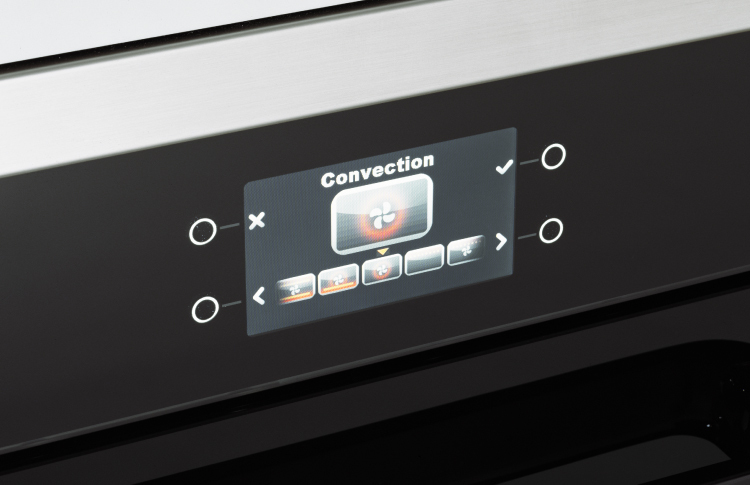 Digital sensors, placed throughout the oven cavity, control the process with precise temperature control and evenness of cooking. The food probe constantly monitors the temperature at the heart of a dish for even more accurate cooking. The display shows the selected oven functions and cooking duration, along with the real-time temperature in the oven. In this video you’ll discover how the Bertazzoni Assistant helps you achieve better results every time.